This past summer, the Nature Conservancy of Canada (NCC) participated in the protection of the largest contiguous area of boreal forest in the world. This amazing feat was achieved in partnership with the Tallcree Tribal Government, the governments of Alberta and Canada, and Syncrude Canada Ltd.
Birch River Wildland Park was one of five new provincially protected areas. 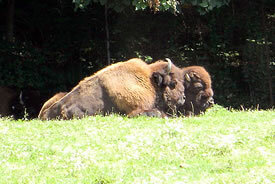 Together with the existing Wood Buffalo National Park, it forms a 67,735-square-kilometre conserved area in northeastern Alberta. Canada’s northern boreal forest is still mostly intact, but there are few places left on the planet that haven’t been significantly altered by human development. This makes our boreal forest one of the last opportunities in the world for this kind of large-scale conservation effort. The protection of Canada’s boreal forest is important for many reasons, including the enormous impact it has on slowing the effects of global climate change. Nearly one-third of the world’s boreal forest is located in Canada. These forests and wetlands provide essential ecosystem services, such as cleaning our drinking water, filtering the air we breathe and absorbing and storing carbon dioxide from the atmosphere. This landscape also contains 25 per cent of the world’s wetlands and roughly 200 million acres of freshwater lakes, ponds and rivers. Humans aren’t the only species who benefit from the protection of Canada’s boreal forest. Besides being home to many at-risk mammal species, including woodland caribou and wood bison, more than 300 kinds of birds rely on the boreal forest for their survival. Billions of birds also use Canada's boreal forest as breeding grounds. This includes a wide variety of songbirds, shorebirds, waterfowl and raptors. The boreal forest is so important to North America’s migratory birds that it’s been called North America’s Bird Nursery. Each summer, up to three billion birds flock to the boreal forest to nest and breed. In the fall, there can be up to five billion birds that emerge and head south to their wintering grounds. Some species of boreal birds have some of the longest annual migrations on Earth. 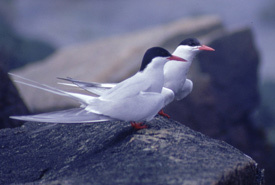 The Arctic tern is one species that breeds in the far northern open boreal forests, through the Arctic tundra and then migrates all the way to Antarctica. The creation of this protected landscape is a historic project with global impact. NCC is proud to have been a part it, and hopes to inspire people across Canada and the world to see what kind of projects can be achieved when organizations partner together with the goal of conservation. 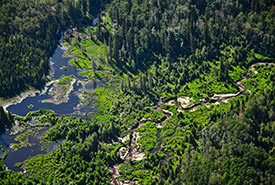 The boreal is one of 11 landscapes featured in NCC’s gift giving campaign, Gifts of Canadian Nature. To learn more and to give the gift of conservation this holiday season, click here. 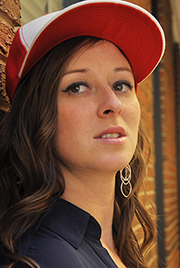 Carys Richards is the communications coordinator for NCC’s Alberta region. Read more about Carys Richards.